If you’re just starting out on the Tarot or even remotely interested, but have got no idea at all where to start, you’re at the right place. Let me just first say that the Tarot is not ‘instant’ and it can definitely be overwhelming in your first couple of years in learning about it. You need patience, time, and positive energy. As soon as you start getting grumpy with your cards, it’s definitely time to walk away and return later when your energy has rejuvinated itself. 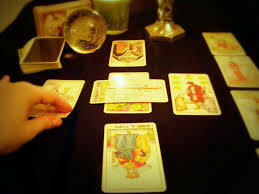 A lot of books say that it is best to get your Tarot cards as a gift from someone close to you. I couldn’t agree more! Somehow it just seems all the more natural receiving them as a gift, knowing that someone has entrusted you with the cards, rather than going out a buying them yourself. It feels a lot more like they have been handed to you, not only as a gift from that person but also a gift from Fate or wherever you believe that life force to be. Ok, so we have a deck of Tarot cards, now what?! I think it’s really important that your Tarot cards are kept in a really special place, so that’s the next thing you need to think about. I decided to wrap mine in white ‘silk’ (well, some sort of nice feeling material!) to preserve it’s sacredness and postive energies. You can chose any colour according to its meaning to the world and yourself. I chose white in particular because it represents purity and the clean positive aura that surrounds us. 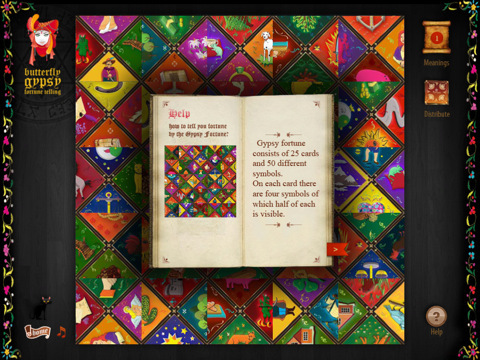 You may also wish to use the coloured silk to lay out your cards on whilst doing a reading. Different coloured silks may be used for different types of readings. In addition to choosing a cover for your cards, you need to choose a safe place for your new cards. In my rather messy bedroom I have a special place set up which has all my candles, rose leaves, incense, bells, etc. laid out in a very spiritual and serene area. You may want to set up a little place like this or even dedicate an entire room to where you do your Tarot readings. On the other hand, if you don’t have the space, place them in a drawer or anywhere that you find doesn’t attract negative, stressed energies. You do not want to stir up all the good that you put into the cards. I would suggest buying a couple of books on the Tarot and the meanings of all the cards (best that the book describes the style of deck that you have) so that you can gain numerous perspectives on the cards. You will find that some people’s interpretations differ enormously on certain cards while agree whole-heartedly on others. Ultimately, it is your choice as to how you believe the card should be interpretted and is often related to its position in whatever spread you are using. However, you will come to that later in your study of the cards. If you are an Internet user (well, obviously you are if you are here! ), I would thoroughly suggest spending a while at Joan Bunning’s Learning The Tarot. Here you can get comprehensive meanings of each and every card, plus about 16 lessons in learning the Tarot. It was my first Internet visit, and I am still totally amazed at its quality! So, assuming you have the resources available and you have read over them, you may now want to learn each card in more detail. I suggest selecting a card at the start of each day (or the night before), reading up on all the different interpretations, then summarising these into your own version of its meaning and writing it into a Tarot Journal. Then, as you go through the day, try to see in what ways the card you selected relates to the events of the day, your thoughts, what is influencing you, and the other people around you. At the end of the day, review this, and write down all your thoughts about how the day went and the ways in which you related the card to the day. over a year’s time, you will probably encounter the same cards 3 or 4 times. You can compare the notes you have taken for these days and also their interpretations, and form a good idea of what the card actually means in real life. For example, you may have felt totally fantastic on each day you drew 4 of Wands. You can then attribute that feeling to that card. As I said before, learning and remembering the meanings of the Tarot cards is a tricky task, so don’t feel let down if it doesn’t come to you as quickly as you would like it. And again, don’t ever force yourself to learn the cards. Doing so will make you associated negative feelings with the cards which is something you don’t want to do!